13.5% alc., 212,000 cases, $8.99. Released July 2008. From the Three Loose Screws division of Don Sebastiani & Sons. · On the nose their are shy darker fruits, toasted oak and tobacco. 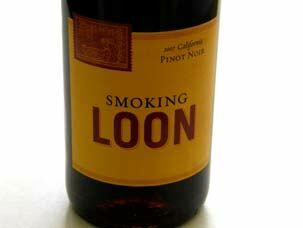 Tasty black raspberry fruit with a smoky edge (the label is appropriate). Medium bodied, soft in the mouth with minimal tannins. Straightforward and simple and very Decent for the price. Perfect price point for Generation Y. 14.1% alc., 200 cases, $12.75. · Pinkish-red watermelon color in the glass. A European-styled rosé with juicy strawberry, cherry, cranberry and melon flavors exhibiting moderate richness and a satiny texture. One of the better rosés I have had from California. Very good. 14.6% alc., $25. The name is pronounced May-OH-mee” and means “coast” in the language of the native Wappo tribe. 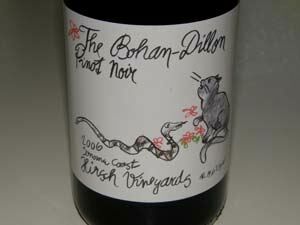 A blend of several vineyards with different sub-climates in the true Sonoma Coast. · Very expressive nose right out of the bottle smelling of black raspberries, blackberries, dark chocolate, and fermenting Pinot Noir, with a whiff of alcohol. Vivid and fruity with tones of spice and herbs. Likable for its smooth texture and easy drinkability. Tasted on two occasions by the glass at a restaurant recently and at home from a bottle with consistent findings. Very good and very well priced. 13.5% alc., 5,213 cases, $37. This is a well respected producer of Pinot Noir and Chardonnay that has received considerable praise from the wine press and retail marketplace. One wine seller recently exclaimed “Rivals the greatest Pinot Noirs of the world.” I can only shake my head at such a remark for I have tasted multiple vintages of this wine through the years and never been impressed. This vintage is no exception. Grown, produced, and bottled at the Estate. Aged 10 months in French oak ranging in age from one to four years old. · The nose is replete with loamy earth, oak and smoke with no fruit. Woody and chemical tasting on the palate with a moderately light core of tart cherry and berry fruit finishing with a rush of tannins. Tastes like a passable Bourgogne wine. Decent (-). Based on favorable reviews in the wine press, I must assume this was a bad bottle. 14.7% alc., $40. This label is a partnership between Phillip Hurst and Heath Dolan. Paul and Heath Dolan’s forebears purchased what was a sheep farm, Truett Ranch, turning it into one of the first vineyard sources for the historic Italian Swiss Colony brand. Grapes for this wine are sourced from Sonoma Mountain and the Russian River Valley. Aged 12 months in French oak. · Very dark reddishpurple color in the glass. Shy dark fruits on the nose with an emphasis on newly sawn sweet oak and cardamon spice. Plum fruits are the centerpiece of this fruit-driven wine which veers close to overripeness. Harmonious with nicely balanced fruit and tannins, but nothing really stands out either. Decent. 14.2% alc., 25 cases, $42. Jennifer Waits and Brian Mast are fog bound San Francisco winemakers focused solely on vineyard-designated Pinot Noirs in 25 to 50 case lots from sites in the Anderson Valley, Russian River Valley and Sta. Rita Hills. Clones 115, 667 and 777. 100% de-stemmed, aged 11 months in 33% new French oak. Crafted at Crushpad. · Scents of dark strawberries and cherries, dried roses, herbs and pine. 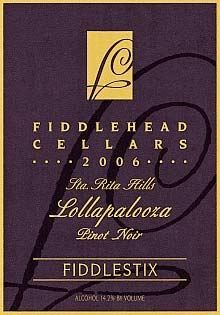 Herb-inflected dark red cherry and berry flavors with hints of oak, green tomato and citrus. Well-crafted, with respectable richness and creaminess, but doesn’t strike my fancy. Tasted twice. Decent (+). 14.7% alc., 1,340 cases, $45.Unfined and unfiltered. 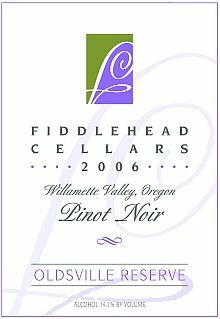 · Slightly confected black cherry and black raspberry aromas with hints of pepper and a jolt of cardamon spice. 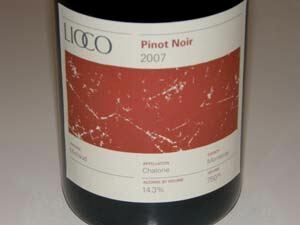 Primarily cherry-driven, discreetly rich with nice finesse, and exhibiting a soft mouth feel. Still needs some time to integrate the oak fully, but hard to resist now. Very good. 14.3% alc., 346 cases, $45. Wild fermentation, 10-day cold soak, manual punch downs, aged 12 months in 1-, 2-, and 3-year-old French oak. Unfined and unfiltered. Sourced from a remote hilltop site at 1,600 feet in the Pinnacles National Monument. An extreme microclimate with daily temperature swings of 40 to 60 degrees. Granite and limestone soils. · Strong aromas of plums, tea, oak, smoke and ground savory. Juicy and concentrated black fruits with an earthy underpinning finishing with a tasty raspberry kiss. 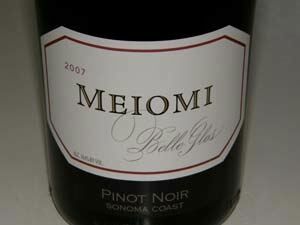 Better later in the day from an opened bottle.. A masculine Pinot that will stand up to hearty foods. Will have fans. Very good. 14.7% alc., $60. · Hi-tone scents of plums and dark berries with overtones of cigar box and cola. 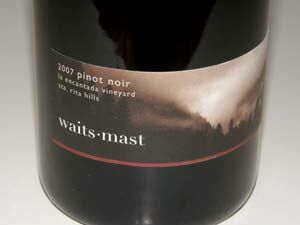 Luscious and rich, almost syrupy, decadent and dark Pinot fruits. Packed and stacked and not for wimps. 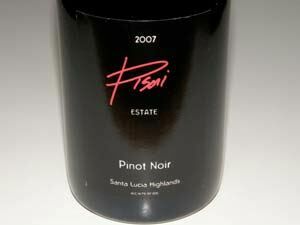 A big wine with a big heart that will stoke Santa Lucia Highlands Pinot Noir fans. 14.6% alc., $28. Hirsch Vineyards “village” wine. 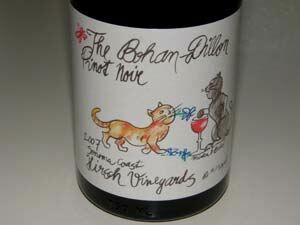 The family cat is featured on the label. · Moderately light in color. Attractive gathering of aromas of cherries, spice, herbs and oak. Oak-toned delicate cherry flavor with soft tannins. A very approachable light drink. Decent. 14.5% alc., 338 cases, $42.50. · The dark-fruited nose is dominated by oak char, brier and green pea scents. 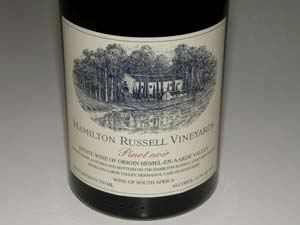 On the palate, the well oaked dark berry fruit is earthy and tart with a brisk citrusy finish. Unsatisfactory. 14.1% alc., $50. Sourced from Elton and Allore vineyards. Aged 15 months in 35% French oak barrels and aged an additional 24 months in bottle. Tasted recently at the winery. · The aromatics are striking featuring dark cherries and plum, sage and a kiss of oak. Mid-weight fruit attack with supple tannins, a velvety texture, bright acidity and a lingering finish. This wine yearns for food. Very good. 14.9% alc., 360 cases, $59. Sourced from the High Plains part of the vineyard planted in 1989. 10% whole cluster. · Moderately deep reddish-purple color in the glass. Awkward nose with blacker fruits taking a back seat to smoke, oak, marzipan and barnyard aromas. Full-bodied dark berry core which is subdued. The tannins are ripe but prominent, oak char is evident, and there is a gentle hint of citrus on the finish. A brooding wine that will be terrific in 4 to 5 years. Drink the Goldridge bottling while you cellar the Reserve. Very good. 14.1% alc., 58 cases, $63.75. · Lovely scent of dark stone and berry fruits, oak, redwood and rhubarb. Full, plush and striking core of dark berries and plums with a moderate tug of oak, firm tannins and bright acidity. The silky texture is alluring. Very good (-). 14.3% alc., 250 cases, $75. A selection of the best 6-10 barrels in the cellar intended to represent the best of the vintage. Aged in 35% new French oak barrels and cellared for 18 months in bottle before release. Tasted recently at the winery. · Dark reddish-purple color. Black cherry, blackberry personality with hints of mocha and earth. Grainy ripe tannins still need time to soften. Well-endowed but suave and will benefit for cellaring. Very good. 14.0% alc., $45. From a vineyard located in the Occidental Ridges planted to Dijon clones. Aged 9 months in French oak. · Deep purple color in the glass. Welcoming scents of black cherries, black olive, toasted oak and a hint of spice. Plenty of dark cherry and berry fruit, accents of tobacco, oak and nutmeg, on a polished, rich platform with minimal tannins. 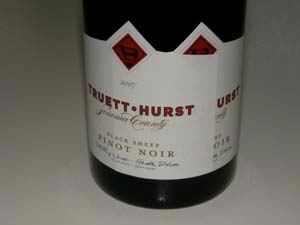 A tasty ripe style of Pinot Noir that seduces with a plush mouth feel. Very good (+).